Want to make a statement? Getting married at Christmas? Love a bit of sparkle? 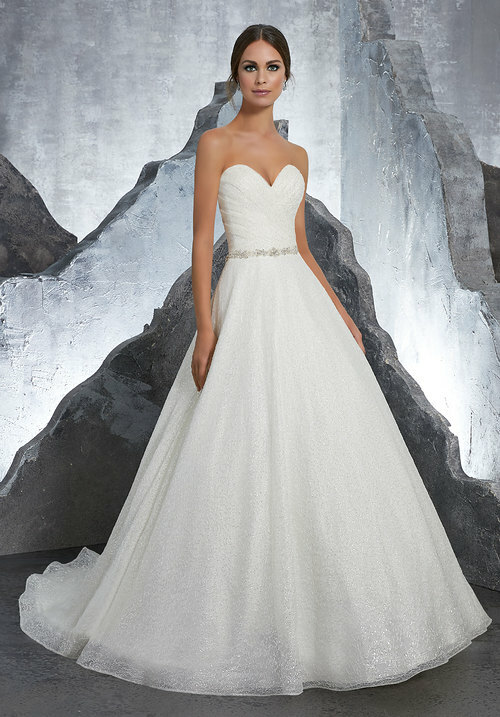 Fall in love with this Princess Ballgown Featuring Frosted Beading on Chantilly Lace. Detachable Beaded Net Belt Included. Available in White, UK 12 only.